My daughter Delaiah (pronounced De-LAY-AH) has decided to get locs. She’s 8 years old. It’s not surprising, seeing as her father has locs now (head over to his blog MERO LIN to follow his locs journey). We scoured the internet for inspiration as to the type of locs she would like and she finally settled on Sisterlocks. She liked the versatility and look of the micro sized locs. I did my best to educate her about having locs. We looked at loads of pictures and I discussed with her how they were a more permanent hairstyle and if she wanted to change it after they were mature, she would have to cut most of it off. We also looked at the different stages of the locking process (THIS ONE was very informative) and loads of sisterlocks/microlocs journeys on YouTube, so she could see what to expect from her locs as it matures. All this was over a few months after she decided she wanted locs. I wanted to give her the time to be sure it’s what she wanted and not just some fleeting desire. And so the research began to find the best techniques to install her locs and give her the Sisterlock-style micro-locs she desired. It came down to either micro-braidlocs or micro-interlocks (Google them if you’re interested in finding out more). The braidlocs would be easier and quicker to install but the downside to me was the way the braids lock up as they mature doesn’t look as good as the micro-locs, although they would eventually grow out into micro-interlocks since that’s how I was planning to maintain them. The micro-interlocking method would take longer to install but in the longer run would look better (in my personal opinion). I did a test braidloc and an interlock on her ‘tufties’ at the back of her nape to see what they would look like. The micro-braid (seen here stretched and un-stretched) curled around itself significantly and the length was lost. You can see the interlocked one kept it’s full length. These were done a few weeks before install so I could see how they would hold up through several washes. In the end the micro-interlocks won the day (you might as well start as you mean to go on, right). I would be doing it in the summer holidays so I could take as many days as needed to get it done, and do it right. There are a few different ways to interlock the hair using either a 2 point, 3 point or 4 point rotation depending on the hair’s texture and overall look you’re going for. I decided the 4 point rotation would look better on her thick 4b type hair and would keep the locs tight and maintain that micro-look she wanted. Click HERE for my visual 4-point rotation guide and also this YouTube Video which explains it really well, as well as this Video. Then it was about deciding what tools I would use to install and maintain them. The official Sisterlocks tool is out of bounds unless you pay to take a re-tightening class or sign up to become a trained consultant. The other options were the Nappy Locs tool (which is too costly to ship to England to be worth buying), the Loc-Key tool (similar to the Nappy Locs tool but UK based), the London Locks tool (which looks quite similar to the Sisterlocks tool, UK based), the latch hook, and DIY tools like the modified metal or plastic yarn needles or paper-clip. I decided to try a variety of them and bought some inexpensive yarn needles, metal (pack of 3, from my local haberdashery) and plastic (pack of 5, from ebay), both under £2 each. I modified the eye of the metal needle with scissors to widen it a bit and snipped off the end with a wire cutter. I trimmed the ends of the plastic ones and held the tails over a gas flame to allow the plastic to soften and bent them into a curve shape before filing them smooth. I also bought some latch hooks (under £2.50 each from Ebay) and the London Locks tool (£25 + delivery) to add a professional tool to the kit, just in case they might make my job of installing and maintaining the locs a bit easier then the DIY ones. From my research I’ve learned that the size of the loc is determined by the size of the partings, so it’s important to focus on the size of the partings and NOT the size of the initial loc. As a rule of thumb, locs generally double in size once matured. The loc will usually start out thinner than its final size, will thicken considerably (maybe triple its size) during the teenage phase due to all the frizzing, but will eventually settle into its ‘true’ size once matured, which is roughly double the size of the starter loc. Because Delaiah wanted micro-sized locs, the parting sizes, according to THIS ARTICLE, would have to be 1/8 to 1/4 inches. I made myself a sizing guide to help ensure my parts were all uniformed. The week before the install, I made sure to do both a protein treatment and a deep conditioning treatment so her hair was in good condition. The morning of the install, I detangled with conditioner and the Tangle Teezer and then deep cleaned her hair with a clarifying shampoo (two cycles of lathering and rinsing) to ensure her hair was completely free of product build-up. Whilst it was wet, I sectioned her hair into the large sections I was going to use as my guide for the locking process, detangling each section again to ensure her hair was fully detangled so that the process of sectioning the locs would be quick and pain-free for her. Hair in crown measured 13 inches! My lovely sister, ‘Vee’ (a phenomenal hairdresser in her own right), helped me to install her locs, so it took less time then it would have had I done it by myself. I did the back sections and she did the front sections. I used a grid pattern for her parts. With each of the initial sections, using my sizing guide, we first divided the section into approx 1/8 inch wide rows for the front and 1/4 inch wide rows at the back and twisted each row out of the way. 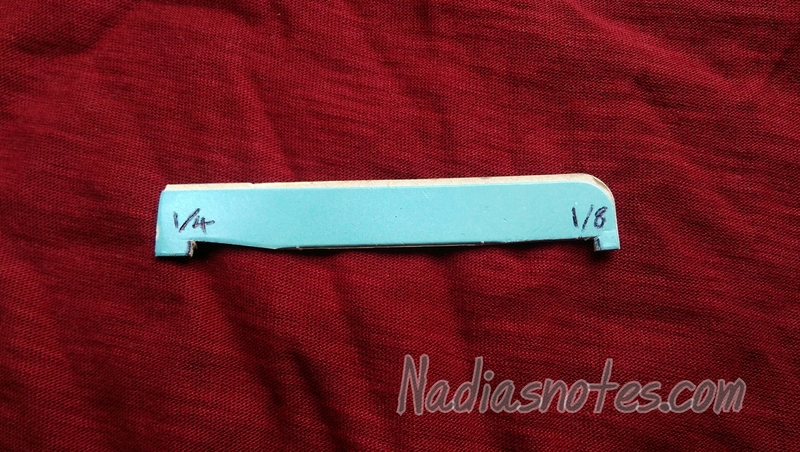 We then sectioned each row into 1/8 inch partings for the front and 1/4 inch wide parts for the back to reach the final parting size of the loc (as demonstrated in THIS VIDEO). It took us a while to get our rhythm on day 1, as neither of us are professional loctitions and it was a lot of trial and error to find the best ways to interlock her micro sectioned hair. So we didn’t get as far as we would have liked. But we eventually got the hang of it and by day 2 we both knew what we were doing. 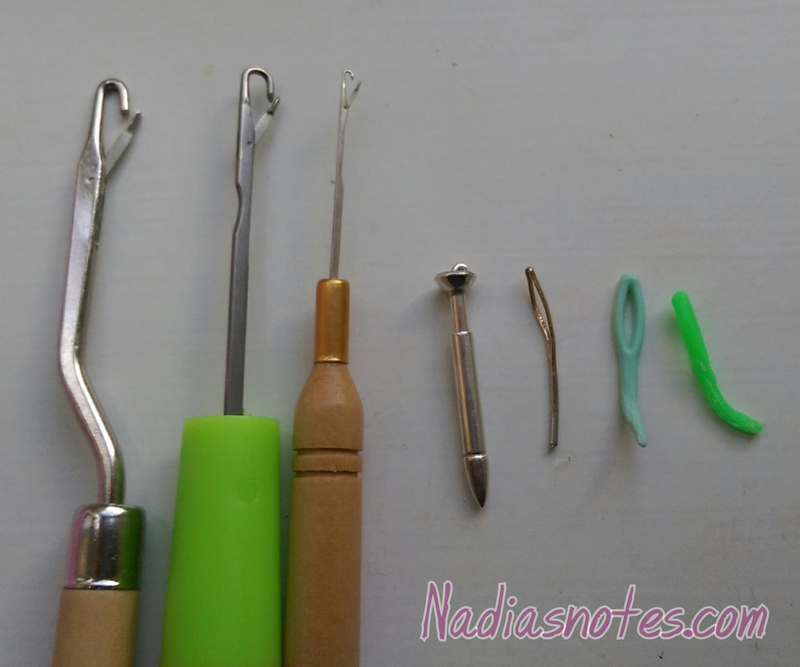 The most helpful tools for me were the London Locks Tool, which I used to start the loc by hooking it onto the end and interlocking up the length, and the modified plastic yarn needle, which I used at the root to get it closer to the scalp for a neater finish. I found that rolling the hair in my fingers as I interlocked kept the strands together and helped it look neater. ‘Vee’ found her fingers and the modified metal yarn needle the most helpful. Because the front locs were so fine, she started her locs with a two-strand twist to give it some foundation and then used her fingers to interlock up the length until it reached the root. She then switched to the metal yarn needle to finish off. we counted her locs as we went along. As we finished each section we counted the locs in that section before starting the next. I then wrote down the number of locs for that section and then added up each section at the end for the total number. I wasn’t aiming for a specific number. I just wanted the sizing to be right. The following morning I applied some locking gel (Jamaican Mango & Lime Locking Gel) to her ends to seal them a bit and stop them from tangling around themselves so much. Here’s what it looked like once I finished. I understand why it costs so much to install. The physical toll it took on my body was insane. My neck and shoulders were killing me by the end of day 2 and my back started to really hurt by the end of day 3. I was so tired. It was a lot of hard work and I really couldn’t do this for a living. But it was totally worth all the trouble because I think her hair looks AMAZING! I want to thank ‘Vee’ for coming along side me and helping to install these locs. Without her input I think I would have lost the will to live! Lol. Delaiah was a real trooper! She woke up early and went to bed late. She sat down for all those hours without much complaining. There were a few tears on occasion, but overall she did excellently. I’m so proud of her! It’s been really frustrating trying to find any information on maintaining microlocs, probably because the most common form of microlocs is trademarked and only the consultants have the full know-how of starting and maintaining them. But… I have researched the hell out of it (those who know me know what I’m talking about!) and have come to some understanding of how to care for and maintain her fresh baby locs (I’m sure time and experience will be the best teacher). In terms of washing, what I have gleaned so far is that Interlocks can be washed pretty much straight away. So right from the beginning you can schedule in regular washes. Regular washing keeps the locs and scalp free of build-up and expands and contracts the strands of hair which assists in the locking process. Baby interlocks need to be braided and/or banded (this VIDEO explains it well) during washing to reduce slippage (coming undone from the roots) and/or unravelling (coming undone from the ends), here’s a great EXAMPLE I found that shows what happens when you don’t do this. The shampoo you use is very important too. In the beginning stages it’s best to use a clarifying shampoo, possibly alternating with a moisturising one, but definitely not a conditioning shampoo. The conditioning agents in the shampoo will make the hair soft and start detangling and separating the strands, which will cause excessive slippage/unravelling and slow down the locking process. It’s also a ‘no’ to conditioners for now for the same reasons. Once the hair ‘settles’ and begins to mature, light conditioners can be re-introduced, as can hot oil treatments (which seems to be very popular for shiny, sheeny, healthy looking locs). An interesting piece of information I came across was that pH can also help to lock the hair. An alkaline pH will lift the cuticles, roughening the strands, which will help them tangle easier. Most starter loc shampoos have a high pH (around 9 or so) for that reason. I’m going to wash her hair once a week and see how it goes (I’ll detail her wash routine and products in upcoming posts). The great thing about interlocks is that you need very little products in your arsenal to maintain them. In the baby stages it’s best to keep the locs as ‘bare’ as possible, nothing too heavy or coating, which can interfere with the locking of the strands. Hydrating the locs is important though, so lightly misting them with water or some kind of hydrating mist regularly is a must. It’s best to stay away from heavy, greasy oils and butters at this stage. A light oil spray can help with dry and itchy scalps if needed or you can add a few scalp loving essential oils (such as peppermint, lavender or rosemary) to your water. Because interlocks can be washed regularly you don’t have to worry too much about build-up if you use some oil. That’s all you need really. Anything more is optional I guess. I’m going to make a loc hydrating mist with some lovely floral waters (peppermint, tea tree, aloe, chamomile, etc) and a light oil spray with grape seed, peach kernel and jojoba oils along with some essential oils. I’ve also bought a loc gel to tame the frizzies once they start getting to that stage. I read some good things about Sea Salt sprays for starter locs which was interesting. Apparently, salt sprays can help to dry out the strands and encourage tangling for a speedier locking process. I might include it at the very beginning, maybe once a week, sprayed on her hair the day before wash day so the salt can do it’s thing but wont have enough time to irritate her scalp. Another thing to consider is how often to retighten new growth. It’s important to find a good rhythm that works well with your hair type, loc size and how fast or slow your hair grows. 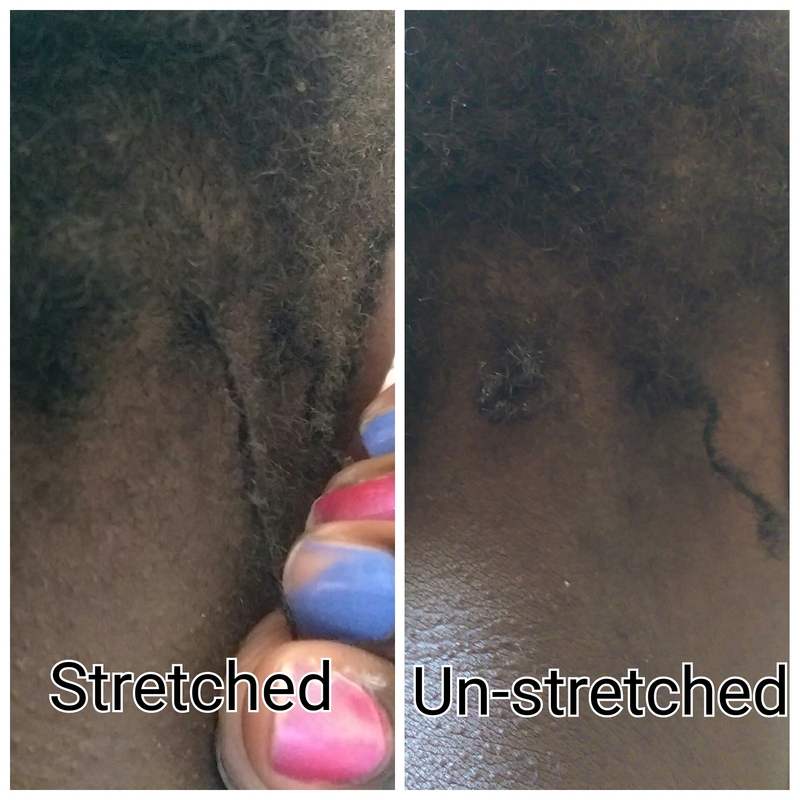 Retightening too often (and too tightly) can lead to traction alopecia and thinning of the locs at the root, which will eventually lead to breakage. Allowing your roots to grow out too much before retightening will cause stress on the line of demarcation (where the locked hair and the loose hair meet) which will also lead to breakage and thinning of the loc, especially on smaller sized locs. So finding the balance is vital for strong, healthy locs. It’s also important to stick to your retightening schedule as much as possible if you’re interlocking. If you retighten your hair after 2 weeks, and then 4 weeks later, and then 6 weeks, then 2 weeks later, etc, you could end up with really knobbly locks (apparently). Right now for Lay’s hair (I call her that for short), I’m thinking every 4 weeks. What I want is enough growth to do 1 full 4-point rotation only. That way it wont take so long to retighten. Time will tell me whether that will work or whether that time-frame will need to be adjusted. That’s it for now. Join me in welcoming Delaiah to this beautiful hair journey, which is steeped in rich history. I hope she really enjoys her beautiful microlocs! Yay Delaiah! And we’ll done Nads for all your research and getting through the task of installation! It looks beautiful. Her hair is beautiful, can you let me know how long it took you to get your London lock tools. I ordered one February 23, 2016 and paid for it and I have not received it yet. They said I would receive it within 48 hours, I have been waiting now over 6 week, can you please let me know something how long it took to get you London locks tool. Thank you. Please message me on facebook, I will be so thankful. God Bless. Today is April 15, 2016 time right now is 1:44 a.m. Friday early morning. Hi Natalie. Thanks for the kind words. When it comes to children, the topic of locs can be quite controversial. I certainly had a few who were questioning whether or not she should get it done. But I know my daughter, she’s good when it comes to making decisions. I did my best to educate her so she could make an informed decision about her locs. You’re definitely right about the research. It is out there and you can learn it if you want to. As for the Almocado products, I’ve actually been eyeing those up. Even though I do make my own products I still like to buy and try others. I might just go ahead and order a few things from there. Wow!!! Loved your video and your blog!! I recently got sisterlocks 5 months ago and my daughter wants locs just like mine. The problem is her hair is 18in. long right now…..so the cost of getting it installed will probably be triple what I paid for mine. I have been doing hair for 13 years and I work as a hair braider part time…..I pretty confident in my ability to start and maintain her micro locs. Your video has given me the confidence to do it! Such a great tutorial! I ordered the London Locs tool immediately after watching it. Thank you so much!!! Thanks Desiree. I’m glad you found it helpful. 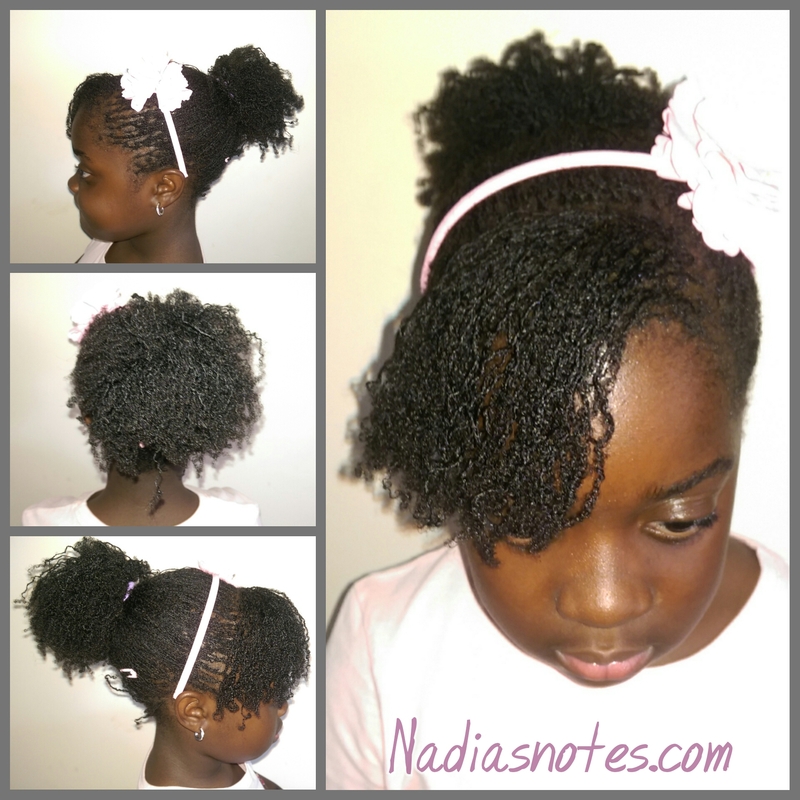 The London Locs Tool was the best investment I made when it came to starting her Microlocs. It made the process so much easier. I hope the installation goes well for you. Thanks for putting up such detailed notes. I’ve been loced on and off for the last decade and looking to install locs on my twin daughters. Still nervous about getting theirs right so your post really helps me. Thanks Yetunde, glad you found it helpful. OMGoodness Ms. Naz! You did an AMAZING JOB on your babygirl’s hair! Thank you for your video……Very Knowledgeable and informative! Your daughter was great sitting still like a lil. Princess! I wish you lived close to me si you can do my g.baby’s hair but, I guess I will have to attempt it! Be blessed! Thanks for taking the time to all this wonderful information. 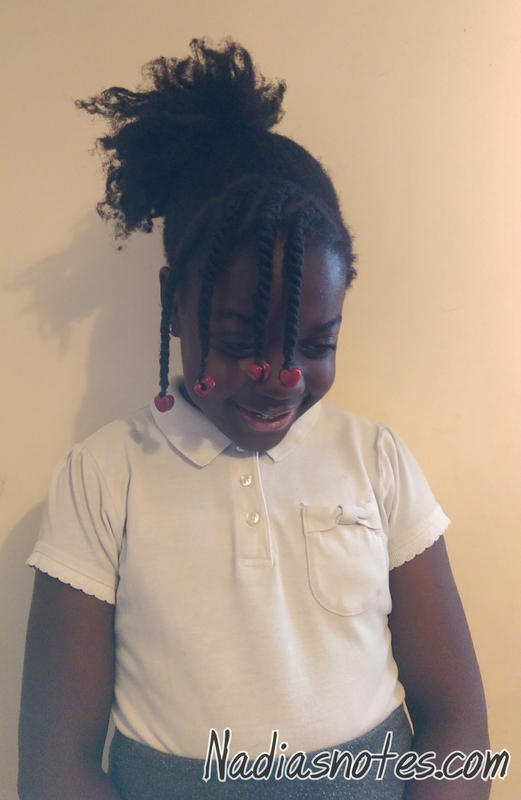 My sister want her hair micro-locked but can’t afford to get it professionally done, by watching your video i am now armed with the knowledge of how to assist her. my question to you is, where can i obtain a London locks tool? There should be a link in both the article and the YouTube video in the description bar. If you can’t find it let me know and I’ll post the link again. You and your sister did a BEAUTIFUL job on your daughters hair and your daughter is absolutely gorgeous!! I have been researching locs for a while now, my daughter is only 4 1/2 and she HATES having her hair done. I thought that installing locs might make hair time a little easier for her but I don’t think she could tolerate the install. Thank you for the tutorial and the video and please don’t take it off YouTube. Hopefully when she gets a little older she will tolerate it and I would definetly want to do it myself if I can. By the way what brand of products (shampoo, conditioner, leave ins, etc.) do you find work best with your daughters hair? You’re daughters hair is beautiful!! You guys did a wonderful job!! I’m trying to go on the London Locks Tool web page but it won’t let me click to buy the tool. The homepage loads but that’s it. Has anyone else had luck buying it recently?!? I was wondering if maybe the sisterlock people saw it and made them take it down. I hope not because I really want to buy it and I don’t have the money for actual sister locks. It’s possible they may have stopped selling it. I suggest you contact the seller directly. I finally got in contact with the style and was able to purchase the tool. It came just a few weeks later. I’m going to install my micro locks in a few weeks. I installed a few practice ones but they came out very frizzy. How did you roll the hair in your fingers to reduce frizz? Was it just the ends? Thank you for sharing all of this information. I love your daughter’s hair. HUGE THANK YOU FOR SHARING! I too desire sister locks/microlocks but also wanted a less expensive route. This has helped me tremendously. God bless! Hello I would like to know what you put in you nightly hydration spray for her locs. Your blog has been very useful for me and my daughter. I can’t remember what I used to put in there I’m afraid. The hydration spray I make now includes ale Vera juice, witch Hazel, water and whatever light oil I have on hand like soya, safflower or sunflower oil with a ratio of about 1:4 oil. So I fill up my bottle 3 quarters of the way with the water, aloe juice and Witch hazel and then top the rest with the oil. You can add some essential oils like peppermint, eucalyptus or tea tree to add a nice minty scent and add extra benefits for the scalp.